“Vlada and I are the same age, born in 1970, and we are so compatible that it’s practically unbelievable – whether it’s coincidence, luck or fate, that’s not important. I am overjoyed to have met a man like him. We want to succeed and strive for perfection, we are always pushing one another”. 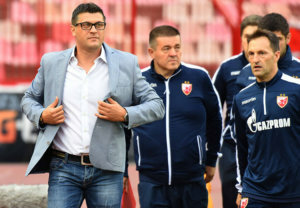 With these words, Red Star Manager Vladan Milojević began a conversation about how his coaching tandem with assistant Vlada Janković, a tandem that has been achieving great success and strong foundations wherever it goes. Getting their starts together with Čukarički, continuing with Omonio, then with Panionios, they have now have secured first place for Red Star in the group stage of the Europa League competition for the first time in a decade. What’s their system, what are their methods and what are the principles that they insist upon? You won’t hear any big words at Milojević’s press conferences. He’s a man who doesn’t like populism or empty stories – he wants action. It’s simple, that’s all he has time for. “To me, the greatest success might be the fact that we left something that we built behind us in every club we worked in, a foundation that you can build upon. There’s no bad blood anywhere and we’ve never been the type of people who have to put down others in order to make us feel superior”. The word “education” was mention the most during a one-hour conversation with the Red Star duo at the club headquarters. That’s because they live by Socrates’ “I know that I know nothing” motto and they strongly believe that the only way to avoid stagnation is through constant progress. The public often underrates the intelligence of a footballer, but football is a complex game in which it’s not easy to be successful. “My friends are mostly from outside the world of football and I am usually not living in the world of football when I’m outside of the office. One time I was explaining some of our tactics to one of my friends and he couldn’t wrap his head around any of it. That’s when he realized how demanding and complex football is. Players have to know the system, understand how they move around in relation to other players, why they need to be in a certain position, etc. If they don’t understand those types of things, then they can’t play”, Milojević said. Today, the situation is one in which everything else can be achieved, strength and running and everything else, but the point is in how the player is going to react and recognize the situation when he is on the pitch with 22 other men who are moving around him. “Successful footballers are very intelligent beings – we can’t even fathom how much information they are receiving at once. If you were to freeze the picture and see a graphic explanation of his vision, you would see: 1. the part of the field in which he is standing 2. the position of the opposing players 3. where the ball is 4. where he is facing 5. where his teammates are 6. what he needs to do…and a bunch of other information all at once”, Janković explained. “No manager that can afford to think that he knows everything. We need to be ready to continue working on ourselves all the time and to accept new trends in order to avoid stagnation. That’s why Vlada is not my assistant, I don’t like to define our relationship that way, we are a tandem, he is my equal because he is a person that loves to educate himself every day. I’m that way too, so we are always pushing each other and exchanging information”. They are both team players, which is very important in a sport like football – they are great friends, they have deep and mutual understanding for each other, and they are united by the fact that the concept of “discipline” is bolded in their football vocabulary. They were able to take Čukarički to the Serbian first league and introduce them to the SuperLiga, and then the squad from Banovo Brdo won the Serbian league cup and were UEFA qualifiers. They won a cup with Omnio. Under their leadership, Panionios spent two-thirds of the Greek championship in second place right behind Olympiacos. They have been working together for years and are an experienced duo, so they always know who is doing what and there’s a high level of trust – Milojević mentioned several times that “if Vlada says something is a particular way then that’s the way it is”. Vlada gives suggestions for different parts of practice, with many situational (functional) drills, and both strive to make sure that the players are both motivated and happy while they train. They want to make sure that the players find these practices to be useful. “We practice coordination, finishing, technique-tactical elements and strength at the same time. Sometimes the training is on paper as well, but we most commonly form a group on a daily basis, in which assistant Kosanović, the goalkeeper’s coach and the rest of our expert staff is involved. I don’t like to do anything chaotically or ad-hoc, so everything we do is based on a plan and is done according to an already-prepared programme so that we will be able to both realize the plan and analyze everything later”. However, no matter how much effort we put into preparation, football is a living thing and you can never predict everything that is going to happen on the pitch, so nothing can really be “carved in stone”. Vlada Janković is known for having a lot of success in working individually with players, and his main specialty is getting them physically ready, which is a segment of preparation in which the Red Star staff is a step above the rest. “We are aware of the micro-cycles that exist depending on how many matches there are each week – we are not reinventing the wheel, we are simply disciplined when it comes to achieved everything that’s available to us. However, we develop strength a bit differently – in Vlada’s methods we have all but thrown out the weight room as an individual training session because we want functional strength, we want everything that we do to have its practical use on the field and to do it on the field. Vlada works on preventing injuries and knee ligament strength as well, which are things that can’t be achieved in the weight room”, Milojević stressed. “An authoritative personality and authoritative knowledge are the only valid types of authority. A player must see a personality that is worthy of a coach in his coach and every player will easily see if a manager does not have enough knowledge to help him”. Milojević sees managers demonstrating authority the wrong way and the repercussions this causes as the greatest deficiencies of some coaches. Besides the above-mentioned competitive success in all of the clubs that have worked in, the next fact is particularly impressive – no player on any team they have coached has ever suffered a muscular injury, the only type of injuries that have occurred were mechanical – injuries while playing against opponents. 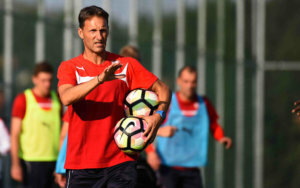 It’s obvious that Janković’s method have shown effective results, which is even more important when taking into consideration that time is always of the essence – putting together a playbook and preparing the players should last about six to eight weeks, while Red Star only had three this year. “We put together tests that show us their level of preparedness and then based on those indications, we create a programme. The needs of each player are different, there needs to be an individualized approach today – you don’t train the drill, you train the player,” Janković said, stressing the last statement. The manager puts together the vision and philosophy of the team and the assistants are there to “follow” their areas of that philosophy – as Janković says, “we assistants and players have to see the demands of the manager with their perspective in order to become a successful whole”. Of course, Janković’s role isn’t just demanding in terms of getting the players ready physically. “Also, we have players who are on an individual regime, there are always tasks for all four coaches at each practice – someone will read out the teams for certain drills, someone will carry the cones around, someone will organize the space for the next drill, someone will stretch out the players and someone will be instructing them and telling them what they are going to do in the next drill”. In Milojević’s philosophy, practices lasts no longer than an hour and a half or two – no moment is wasted and nothing is left to chance. Why? Because practice is for nursing the flowers that are supposed to bloom during matches. Milojević takes a deep breath, concluding that we would have to live with him for at least two months in order to understand how he prepares for a match…However, he manages to give us a succinct and illustrative example. “Sometimes you have to go on assumptions, the manager assumes how the other team will play. That’s why you need a plan A, B and C – simply, you need to neutralize the passion of the opponent strategically, and you have to use his shortcomings to your advantage at the same time. Through play, during breaks, during transitions, through physical preparation, there are holes to be found in many places when looking at your opponent. Namely, if you see that a rival is not as physically prepared as you are, you will want to but more pressure on the stopper”. However, even the best strategies and most clever tactical surprises are useless if communication with your players is not on a high level – at the end of the day, they are the ones who are putting the plan in action. “The most important thing is that the player knows what’s exactly being asked of him – if he doesn’t know that, how can he possibly be sure in himself and mentally strong? If he knows what he has to do, all he has left to do is focus on the task at hand and that’s it. Unclear directions create chaos in the minds of players, they create uneasiness and consequently lead to trouble on the pitch. All that comes with practice, these are demands that I have at practice as well”, Milojević said. They communicate with players both individually and in groups, they work with them on the pitch, but the trick is in how the information they need about what they need to do on the pitch is being transferred to them. “Players feel it when you know something and are an expert, that’s when respect is created through what they give to you and what they take from you. The result is homogeneity and harmony, they feel that you understand them and a collective is formed”. Red Star has implemented some of the most modern programs such as WyScout and InStatScout, so it’s much easier than before to get to all of necessary information about each player. Nikola Leposavić is an analyst in the Red Star coaching staff and he brings filtered statistics to the rest of the coaches, which they then analyse in preparation for the next match. There is a “fitness report” and a “tactical report” for the entire match, and the team is given key information – what formations the opponents are using, how they are attacking, how they are defending. “Analysis is being used in football now as much it’s being used in other sports and now everything is based on analysis, there’s no more ‘this is what I thought happened’ and similar guesswork. 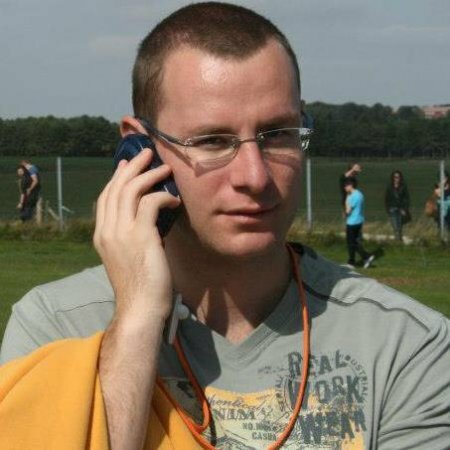 It was harder to perform an analysis in football than it was in say volleyball, but now there are huge companies who are working on that and we are able to get the statistics for just about anything”, Milojević said. The manager must get to know his players very closely in order to know how they will react in all types of situations – when everything is going as planned and when unexpected things are occurring. Milojević has one motto he sticks with and repeats constantly, that a dictatorship doesn’t result in anything positive. “You need to listen to your players and understand if they do something that they were not supposed to, why it was that they did it. We are men, this is an adrenaline-filled sport and emotions are running high, and tension in the locker room is great. If someone makes a hand gesture or curses, you can’t take that personally, you should be able to know that it’s an affect because you know that person. There are always issues that arise and all I demand at the end of the day is respect, respect within the squad and respect for all of the coaches, and to make sure that no individual is putting themselves before the team”. There’s always a general plan and principle while playing that we don’t back away from, special preparations for every match and ways in which information should be relayed to the players – if mistakes are made in any of those segments, there are going to be problems during the match. That’s when the speed at which you react to these mistakes is most important. “You can’t anticipate everything during the course of a match, whether a player is going to have a great day or not. The first half is analysed and suggestions are offered. Many times all I want to do is call a timeout, just to take a minute to tell them something – you can just yell something out to them here (in Serbia), but at the next level players won’t hear you. That’s why all your players need to be aware of the plan and know what they are doing, then they can communicate among themselves and help one another, it’s a system in which everyone is connected”. Milojević said. One thing is sure – football is not simply that game we play in the courtyard and it’s definitely not as simple as it seems to be to some who are watching on it on television. That’s why successful tandems like Vladan Milojević and Vlada Janković are so rare these days.